The Centers for Medicare & Medicaid Services (CMS) released proposed rules last year for the Medicare Access and CHIP Reauthorization Act (MACRA). Under this landmark regulation, healthcare providers must look for more ways to engage their patients, because starting soon, their reimbursement will rely on it. The time is right for service providers to step in with the technology solutions that the healthcare sector seeks. With payments now linked to performance and compliance with these new government programs, healthcare practitioners nationwide are adopting patient-centric initiatives. According to CDW's 2017 Patient Engagement Perspectives study, 71 percent of healthcare providers agree improving patient engagement is the biggest priority at their medical practice. Today, prevention and active management are just as important as providing treatment. One way to support this model is the use of multi-channel, proactive outbound messaging. Rather than responding to any manner of inquiries, ranging from the urgent to the mundane, these notifications are purposeful, with specific outcomes in mind. In the healthcare industry, proactive notifications provide a different form of service; rather than solving problems in a reactive manner, they communicate information that’s both timely and relevant to the recipient. The customizable features, such as an opt-in basis, allow patients to control how they receive notifications — ultimately helping them to avoid problems or make certain difficult situations more manageable. Based on the healthcare provider’s existing knowledge of a patient’s condition, outbound notifications can be a very effective form of service, and ultimately patient care. Proactive notifications bring an approach to customer service that perfectly aligns with today’s healthcare realities by providing patients’ options when self-managing their health and streamlining the process of providing care. Patients and caregivers alike are kept on schedule for appointments and taking medication. They are alerted to the need to refill a prescription or to come in for follow-up tests or consultations, as well as being updated on other important information or events. In addition to outbound communications, the ever-growing trend of mobility in everyday life is another common theme providers need to consider when choosing the right tool they want to use to serve their patients. By having proactive notifications and other tools available on-the-go — such as a comprehensive yet easy-to-use knowledgebase — providers are not only empowering their patients, but also providing an important aspect of exceptional customer service. The need to embrace digital technology extends beyond hospitals and large health systems to private practice physicians, and encompasses more than multi-channel outbound messaging services for appointment reminders and follow-up care. According to a Pew Charitable Trust report, almost 25 percent of smartphone users have paid a bill using their mobile device, yet 9 out of 10 healthcare bills are sent to American consumers via the U.S. Postal Service. Further, a study by the Aite Group shows 44 percent of millennials pay their bills electronically. In today’s healthcare market, patients of all ages, but especially millennials, have become consumers. They expect the same kind service in healthcare that they can find in other industries. The use of health IT, apps, the cloud, and Big Data to promote value-based care has encouraged direct patient involvement in their own care. With this growing trend, it’s not surprising more and more companies are looking for ways to engage patients. 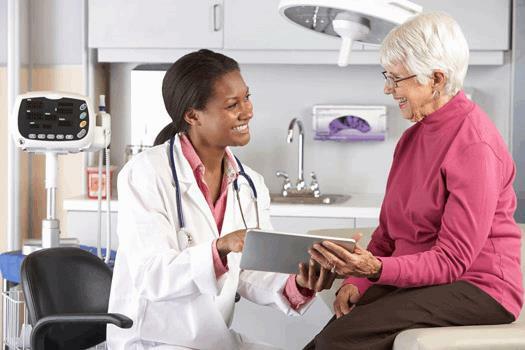 According to recent study by the New England Journal of Medicine (NEJM) Catalyst, more than 69 percent of health systems, hospitals, and physician organizations are implementing patient engagement initiatives to increase patients’ meaningful participation in care. The respondent organizations reported patient engagement as having a 14 to 34 percent impact on quality outcomes. “That’s pretty remarkable considering we are still in the earlier stages of patient engagement and that many potential approaches have yet to be fully scaled and integrated into practice,” the Catalyst reports. The times are changing rapidly. Backed by federal regulations, patient engagement is a hot trend, not only for reimbursement reasons, but to improve health outcomes. Patients themselves play a role, in that they want better service in all aspects of their lives. Christoph Mosing is President, Enghouse Interactive. The Company develops interaction management solutions, including contact center, attendant console, IVR, dialers, and call recording solutions that support any telephony environment, on premise or in the cloud. Enghouse Interactive has thousands of customers worldwide, supported by a global network of partners and more than 950 dedicated staff across the Company's international operations.